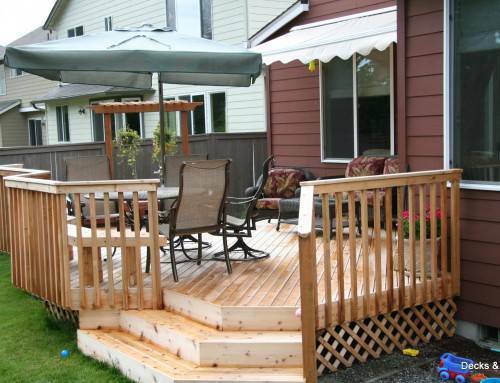 These are pictures of the deck before it was finished with a red wood stain to match the siding of the hot tub. 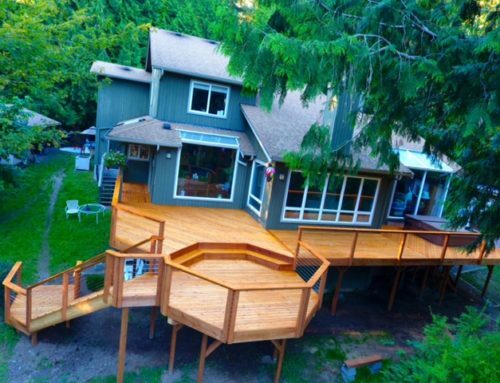 Our motto of “no more square decks” certainly applies to this project. 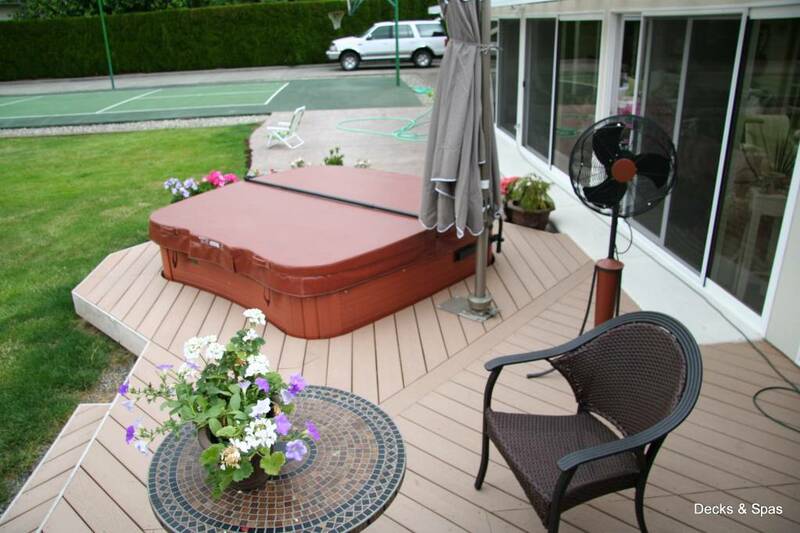 The hot tub is one of our unique models from the MAAX spas collection. 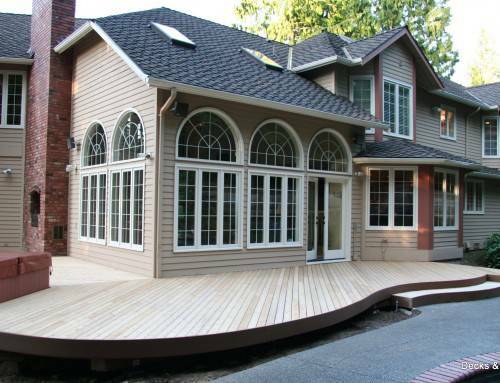 The spa is sitting on a concrete pad at ground level but with the deck built slightly raised and the spa sitting inside the deck it gives you the feeling of depth that you wouldn’t have otherwise. 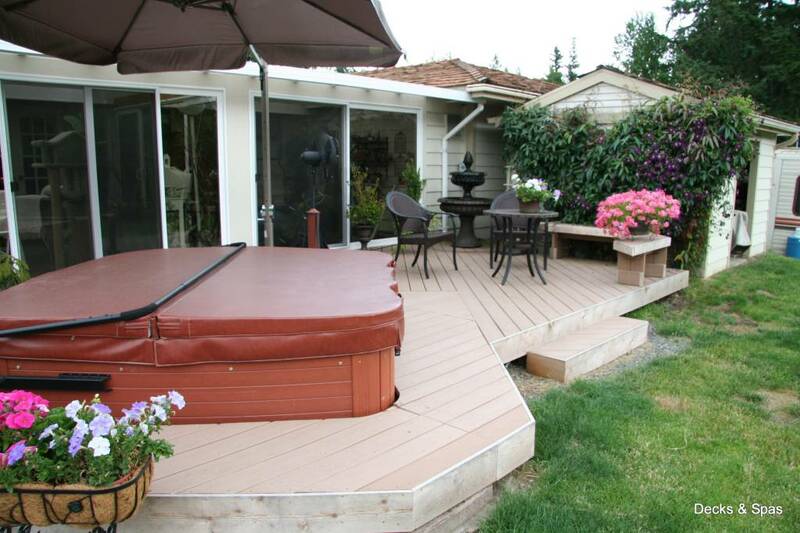 The height of the deck allows for a more natural feeling when you are stepping into the hot tub. 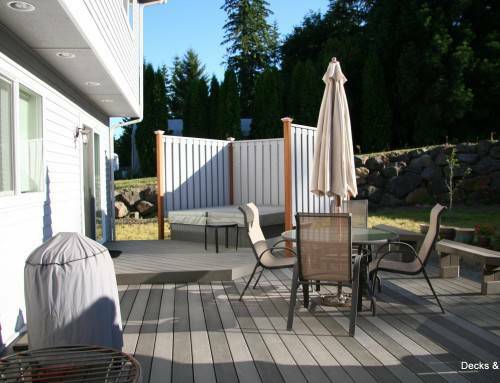 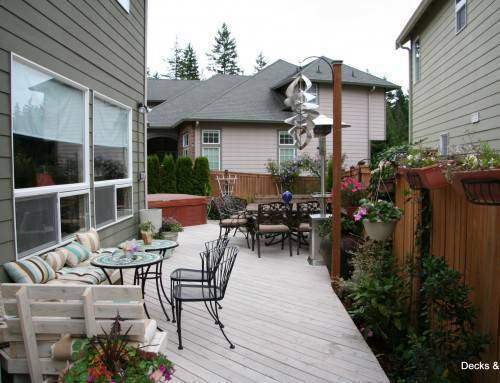 The deck itself can be seem as a great compliment to the landscape which gives you a sense of space while as the same time not taking up much space at all. 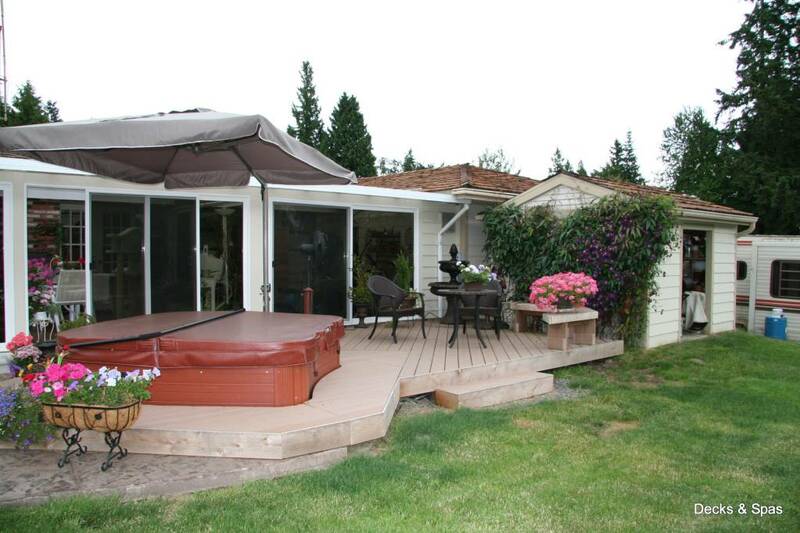 It works as an extension to the house and an area for you to get in the hot tub or lounge on the deck.